The day after “TURF” exhibition opening, on Saturday morning I had the chance to shoot some photos with Chrisitan Mamoun at the Hotel Tiara Château Mont Royal’s garden, for which I can barely wait to show you all images very soon. After we had finished the shooting, I had lunch together with two brilliant Austrian editors and the lovely Longines PR lady. Then we had just one hour break to get ready for the exclusive interview with the Longines brand ambassador Aishwarya Rai Bachchan at Auberge Du Jeude Paume Chantilly. Indian beauty Aishwarya Rai Bachchan has greatly embodied the Longines slogan “Elegance is an attitude” for more than ten years. Meeting Aishwarya and talking to her under four eyes – was a very special moment, because I always admired her since she won the Miss World 1994 title. She is now 41 and still shining like Miss World and all time Bollywood diva. With her elegance, professional yet adorable attitude, she left very good impressions on everyone, who got the chance to meet and interview her. It’s no surprise that the Indian beauty has been an ambassador for the Swiss brand for the past 10 years already. For so many years, a lot of focus and attention has been centered on Aishwarya Rai Bachchan’s TV or red carpet appearances, like at the prestigious Cannes Film Festival. Talking about her beauty secrets, “When I am at home, I don’t do a lot!” she replied, “I have to remind myself to drink water and to hydrate my body. Because I travel a lot, therefore I mostly forget to drink water. But discipline is very important!”, said Aishwarya. On plastic surgery, she said “Don’t judge anyone who decides to change something on their body. Because nobody knows, what they have been through so that they have to do plastic surgery”, and she is so lucky for being born beautiful and still looking young in her age. Aishwarya looked very fresh and natural, with a minimal make-up, yet looked appealing with black eye-liner. She was wearing a black sequin dress and a black blazer and Longines new Dolce Vita watch. After the interview, we went back to our hotel and to get ready for the Longines “Garden Party” at the Château de Chantilly. 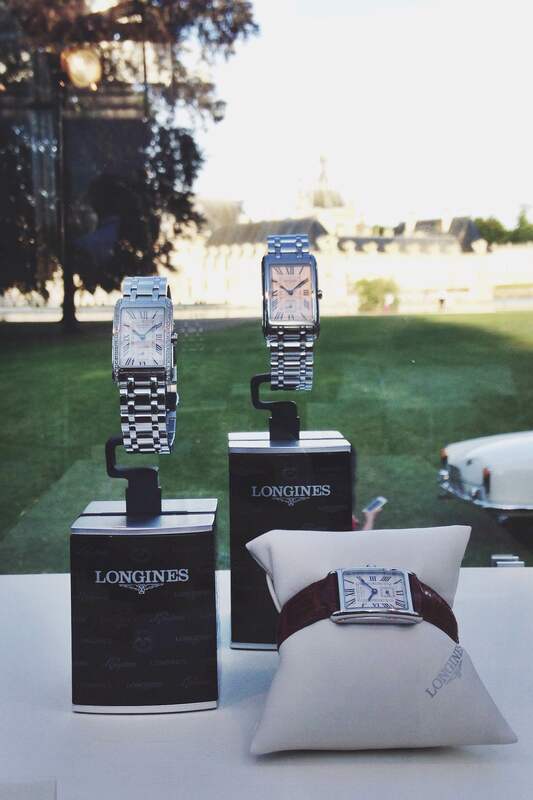 During a Garden Party thrown in the gardens of the Chantilly Castle, Longines unveiled the new advertising campaign of its new Longines DolceVita. Aishwarya Rai Bachchan, Longines Ambassador of Elegance, presented the collection together with Walter von Känel, President of Longines. The beautiful Indian actress lends her face to the new campaign. The Garden Party was held precisely on the eve of this race, known for its elegance and of which the winged hourglass brand is the Title Partner and the Official Timekeeper. The Official Watch of the Prix de Diane Longines is indeed a Longines DolceVita model cased in steel and set with diamonds featuring a silver-colored “flinqué” dial adorned with painted Roman numerals. Cased in steel, sometimes decorated with diamonds and finished by a choice of black, white, grey or red leather straps or by a stainless steel bracelet, the new Longines DolceVita models are decidedly feminine and charming – as is the new advertising campaign. Aishwarya Rai Bachchan, Longines Ambassador of Elegance. 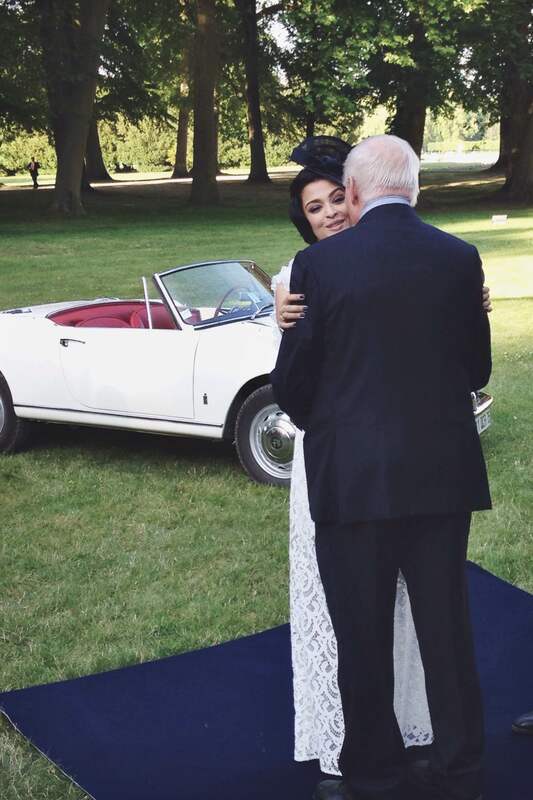 Aishwarya Rai Bachchan, Longines Ambassador of Elegance, hugging Walter von Känel, President of Longines. 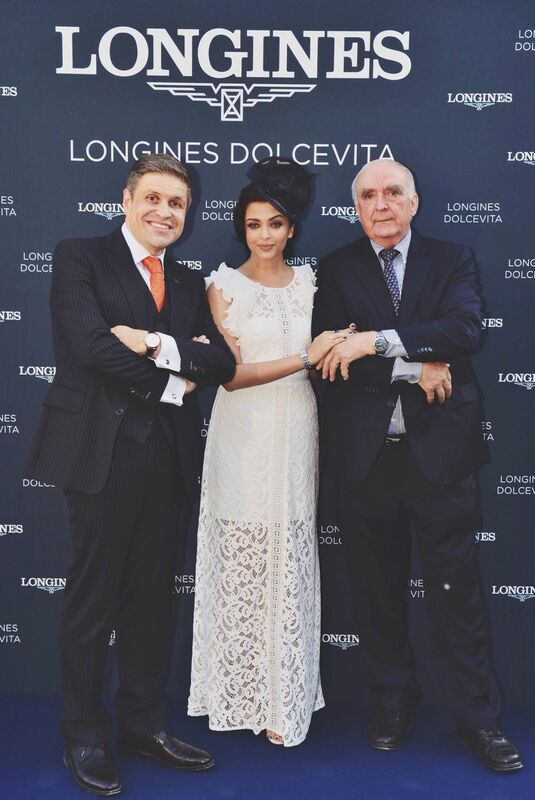 Juan-Carlos Capelli, VP and Head of International Marketing of Longines, Aishwarya Rai Bachchan, Longines Ambassador of Elegance, hugging Walter von Känel, President of Longines. The new Longines “DolceVita” Collection. 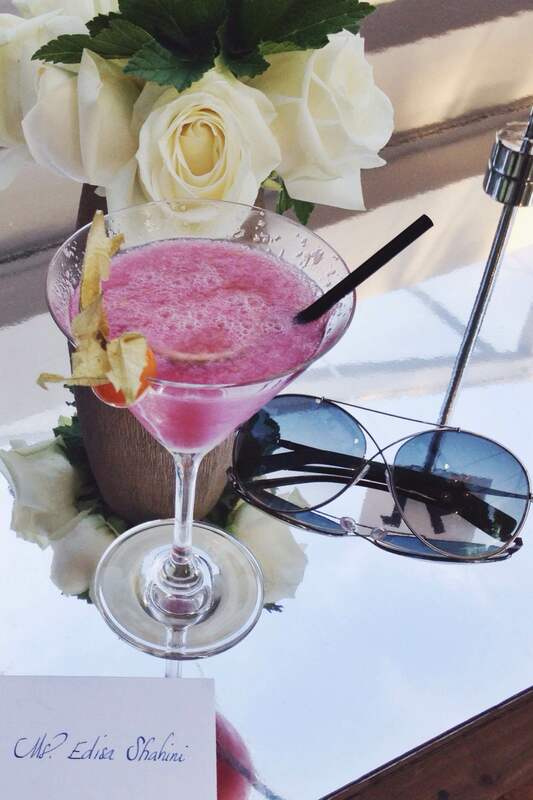 After the presentation, the night continued with delicious food and perfect summer drinks. 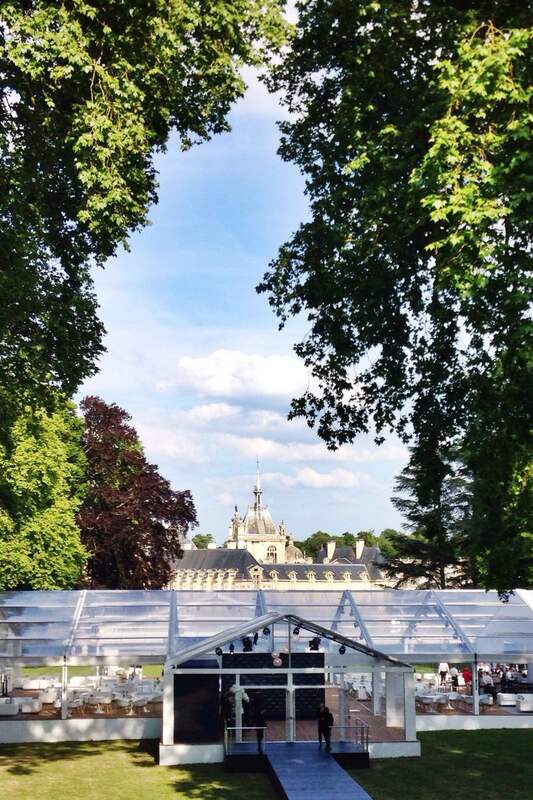 Tomorrow you’ll read the article about Prix de Diane Longines 2015, so stay tuned!